The red and black logo above represents our dojo. �The kanji characters in the�patch read�Ju-Jitsu�(bottom right), meaning the Gentle or Adaptive Art, and�Ji-Ei�(top left) meaning "body defense" or "self defense". The�bamboo�in between the kanji symbolizes strength through flexibility. 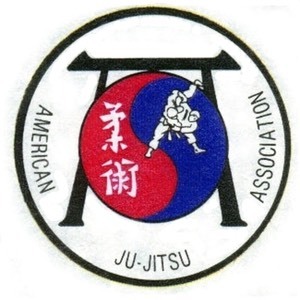 The VISD is closely affiliated with the American Jujitsu Association (AJA Dojo #2300), and teaches Japanese-origin Jujitsu under the philosophical framework of Budoshin Jujitsu. The Sensei holds AJA Instructor Certification TC-0406-2300. � In addition to Budoshin Jujitsu, VISD incorporates the techniques of Taiho-Jutsu into the curriculum (advanced students only), which are the techniques that Japanese Law Enforcement Officers�(and many others)�use to subdue and restrain suspects. �The Vancouver Institute of Self Defense is a non-profit community service effort offered to residents of Clark County, WA. It does not compete with store-front martial art businesses. �As a policy, we cannot take students under the age of 14, and we require any teenagers below the age of 16 to be accompanied by a parent or guardian - primarily for�safety reasons. �Parents who choose to attend with their teenager will be amazed at the good that comes from this effort... for both of you. � �Browse around our website for more information about who we are, what we teach - and why. If you have any questions or would like to speak with our Sensei or the Sempai (assistant instructors), check the�Contact Us�page. NOTE: �Budoshin Jujitsu Yudanshakai is an association of Budoshin black-belts.